Uttar Pradesh government's preliminary probe into the collapse of a flyover in Varanasi, where 18 people were killed in the mishap, has identified a few lapses in its construction. The Varanasi district magistrate of Varanasi has ordered an inquiry into the collapse of an under-construction flyover that claimed 18 lives on Tuesday. 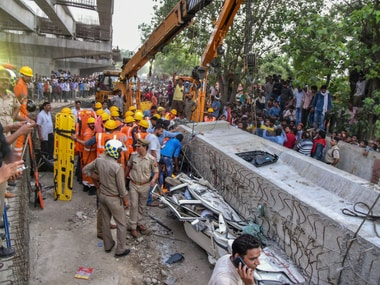 A portion of a flyover being built by a state-run corporation collapsed on a busy road in Uttar Pradesh's Varanasi, killing at least 18 people as it crushed a mini bus, cars and two-wheelers. 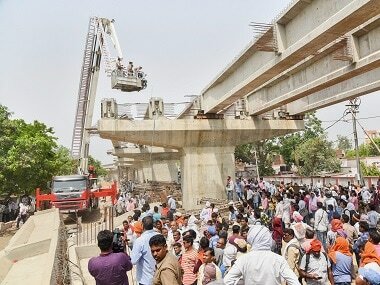 A portion of an under-construction flyover collapsed near Cantt railway station in Varanasi on Tuesday. Around 12 people have died. 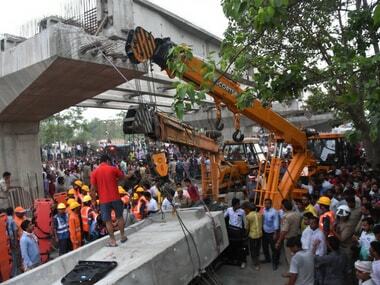 Eighteen persons were killed and more than 50 feared trapped as an under-construction flyover collapsed on Tuesday in Varanasi, the parliamentary constituency of Prime Minister Narendra Modi, an official said.